I’ve recently solidified my summer holiday plans, which will take me back to the Iberian Peninsula this June. Last year’s “birthday trip” to Lisbon, Portugal was one for the books, and the quaint city truly left a lasting impression: friendly locals, awe-inspiring history, delicious food, and cultural surprises at every turn. This year, my travels take me back to Spain. I’ve had the pleasure of traveling to Barçelona for a business trip a few years back, and was able to take a quick jaunt to Seville to experience the hospitality of Southern Spain. This year, my travels will take me to the capital city of Madrid, then on to the La Rioja wine region, and then capping-off the experience in Basque Country –San Sebastián to be exact, which is incidentally one of two European Capitals of Culture in 2016 (Wroclaw, Poland being the other). I’m already looking forward to tapas and cava-laced late nights, as well as immeasurable amounts of people-watching. It’s high-time to start brushing up on my Castilian Spanish. While visions of copious amounts of jamón and glasses of tinto swirl around my head, I wouldn’t be in true form without considering bringing home something distinctively Spanish that is also distinctly “me.” That said, I’ve got my mind set on swinging through a Loewe boutique while I’m there. Established as one of the world’s original luxury houses in the late 1800s, the company’s humble beginning links back to 1840’s Madrid. The company evolved from a cooperative of leather artisans to a modern and progressive symbol of design in the century that followed. Today, Loewe is part of the LVMH family of brands, and is headed by London-based creative director, Jonathan Anderson. Anderson, like many of his luminary counterparts, had the daunting task of breathing new life into a storied fashion stalwart. To his credit, he has been quite successful in the re-vamping of the Loewe aesthetic. In as similar a way as Riccardo Tisci has done at Givenchy, or the now legendary evolution that Hedi Slimane brought to Saint Laurent, Anderson has brought on a slightly hipster vibe to his collections at Loewe. The aesthetic he brings to the house’s menswear line keeps simplicity at its core, but highlights that with an interesting infusion of geometric accents. While the brand’s look book may not ooze with ultra-hipster fringes (think Fendi’s monster eyes, or Balenciaga’s marble phileas texture), it does sport its share of cartoon-infused prints. Overall, Anderson brings a completely wearable palate to life at Loewe. Puzzle Extra Large Bag | Made of classic calf leather, and shown in navy, tan, red & yellow, the Puzzle Extra Large Bag features an adjustable strap with geometric accents throughout its design. Monogram Scarf | I’m not usually one for logos or anagrams, but the Loewe “L” is more design than anything else. 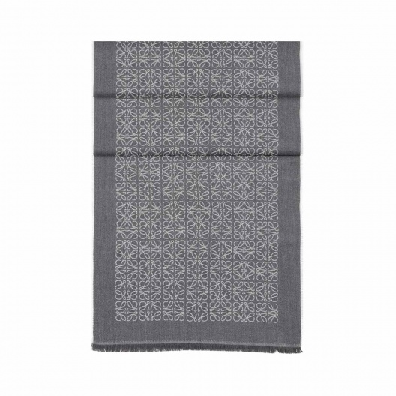 And as a self-professed scarf-lover, this anthracite wool scarf would make for a great accent piece. 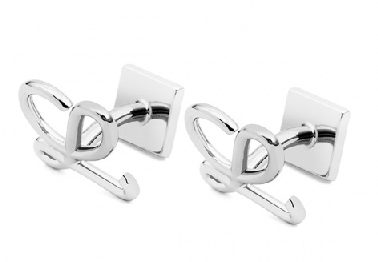 L Cufflink | Well, for personal reasons… the “L” cufflink in palladium would be a perfect addition to my arsenal of accessories. Images from loewe.com and wmagazine.com.